1958 CHEVROLET, P CASE POSITRACTION REAREND. GREAT ADDITION FOR THAT CORVETTE OR CHEVY RESTORATION. 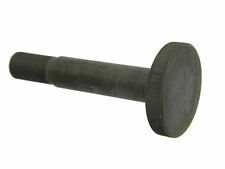 WILL FIT IN ANY 1955 - 64 CHEVY OR 1956 - 62 CORVETTE. THIS REAREND IS PROFESSIONALLY REBUILT BY Gevo`s Rears & Gears. YUKON GEAR & AXLE RING AND PINION GEAR SETS. "Yukon Gear & Axle Ring and Pinion --. Regain lost power from oversized tires by installing a higher ratio ring and pinion. Pinion spline count : 17. Notes : 55P CHEVY 3.36 R&P. 1956-1962 Corvette. 1956 Corvette Gear Set use Gear CASE GM Part# 3707311 (Except: Over Drive ). Chevy Corvette Application: 1956 NON-POSI. 1957-1962 Corvette Gear Set used with Gear CASE GM Part# 3867386. YUKON GEAR & AXLE RING AND PINION GEAR SETS. "Yukon Gear & Axle Ring and Pinion --. Regain lost power from oversized tires by installing a higher ratio ring and pinion. Pinion spline count : 17. Notes : 55P CHEVY 3.08 R&P. YUKON GEAR & AXLE RING AND PINION GEAR SETS. "Yukon Gear & Axle Ring and Pinion --. Regain lost power from oversized tires by installing a higher ratio ring and pinion. Pinion spline count : 17. Notes : 55P CHEVY 3.55 R&P. YUKON GEAR & AXLE RING AND PINION GEAR SETS. "Yukon Gear & Axle Ring and Pinion --. Regain lost power from oversized tires by installing a higher ratio ring and pinion. Pinion spline count : 17. Notes : 55P CHEVY 3.73 R&P. Part Number: 6818. Established in 1959! YUKON GEAR & AXLE RING AND PINION GEAR SETS. "Yukon Gear & Axle Ring and Pinion --. Regain lost power from oversized tires by installing a higher ratio ring and pinion. Pinion spline count : 17. Notes : 55P CHEVY THICK 4.10. Pinion Seal for 1955-1964 Chevrolet and Corvette. Fast correspondence, great price & product. What’s not to like?. CLUTCH 690-035 Dorman - Autograde. Country of Origin United States. UPC 019495690351. Weight: 2 Lbs. Interchange Numbers &nbspPioneerPart Number: PB-656-R. Manufacturer Number: 690-035. 3.08 RATIO RING & PINION GEARSET. Whether you are a novice or a pro, you will need a good and easy to use bearing puller for the job, and we got them! 53-58 27.24" 59 28.36" 60E 29.90" 60L-62 29.50" Size: N/A. Car years: 1953, 1954, 1955, 1956, 1957, 1958. Corvette Central #: 581057. About Corvette Central. 3.55 RATIO RING AND PINION & MASTER BEARING INSTALLATION KIT WITH TIMKEN BEARINGS. RICHMOND GEAR PREMIUM '49 SERIES' (not the cheaper Excel standard series). RICHMOND EXCEL SERIES - 3.73 RATIO RING AND PINION & MASTER BEARING INSTALLATION KIT. Whether you are a novice or a pro, you will need a good and easy to use bearing puller for the job, and we got them! For sale is one used Richmond 3.55:1 ring and pinion gear set. Richmond P/N 49-0052-1. The splines on the pinion gear are in good condition. The mount holes on the ring gear appear to be in good condition. For sale is one used differential propeller shaft flange. Used and NOS parts are sold as is. Rear spring rebuild hardware kit. Car years: 1953, 1954, 1955, 1956, 1957, 1958, 1959, 1960, 1961, 1962. Corvette Central #: 581065. About Corvette Central. POSI PERFORMANCE DIFFERENTIAL - The patented carbon-carbon fabric clutch maintains its lubricity to provide smooth, quiet operation. Whether you are a novice or a pro, you will need a good and easy to use bearing puller for the job, and we got them!